Another great event is coming in about a month: PLANT SWAP! This is hosted up in the Hyde Park neighborhood but all are welcome. Start potting up some of your natives to exchange for others. See you there! 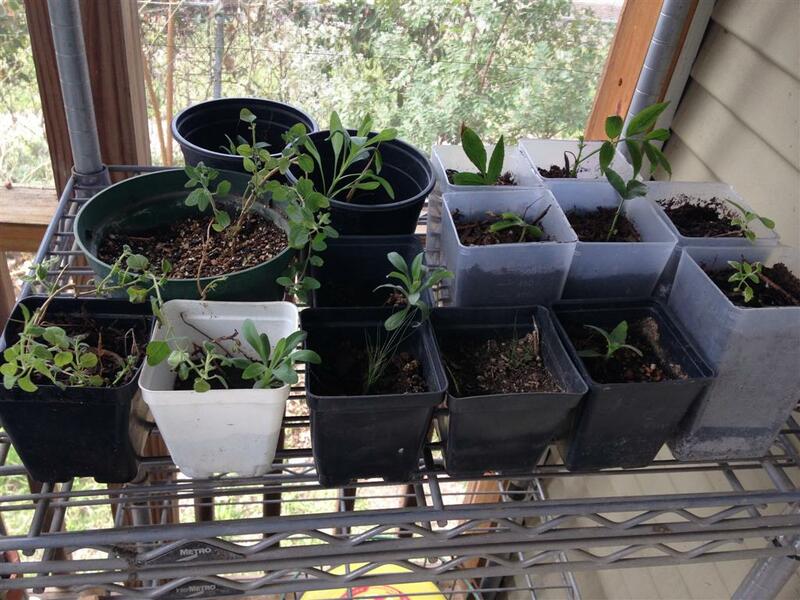 Attached is a picture of a small sampling of plants that I have so far for the swap: Fall Aster, American Elderberry, Mexican Feathergrass, Skullcap, Cowpen Daisy, LOTS of milkweed to be given away to swap participants (will send pics of milkweed seedlings later). Spread the word…the more people that know about it, the more great plants to choose from! Want to attend a free garden tour, learn about native plants from experts, and get to swap plants? Here’s the event for you, and it’s free. It’s the 2012 Grow Green Homeowner’s Landscape Training. Grow Green is a City of Austin group that helps homeowners make good choices for landscaping. Here are all the details – be sure to pre-register. Thursday, October 18, 6:00 p.m. – 9:00 p.m. Learn the most important things to do to make your landscape earth-wise, low maintenance, healthy and water-conserving. Plus pick up free landscape design, installation and maintenance resource materials designed to help you be successful with your gardening endeavors. As our city grows wildlife habitats are being altered. Wildlife Austin can help you create a vibrant landscape habitat haven where butterflies, songbirds and other wildlife can find what they need to keep calling Austin home. Learn how you can turn your backyard into a National Wildlife Federation habitat and join the nearly 2000 Austin homes, schools and public areas that are already certified. WaterWise Landscape refers to landscaping and gardening in ways that reduce or eliminate the need for supplemental water from irrigation. Major water savings can be made by converting your healthy turf grass to native plant beds and permeable hardscape. Residential properties may receive $25 for every 100 sq. ft. converted. Get details on program eligibility, the process and requirements. *Plants should be dropped off between 6:00 p.m.- 6:15 p.m. at a table in front of the OTC. Look for Grow Green staff and tables with lots of plants. *Homeowners who drop off a plant(s) will be given a numbered raffle ticket. If you are attending the plant swap but did not bring a plant to share then you will get a numbered ticket after all of the plants have been dropped off. *After the garden tours and talks by landscape experts, homeowners will re-group in front of OTC at 8:30 p.m. for the plant swap. Plants will be selected based on individuals raffle ticket number. Once everyone has one plant then the rest of the plants will be freely distributed between the group. One Texas Center (OTC) – 505 Barton Springs Road, see map. Free parking is available in the OTC Parking garage on the East side of the building.